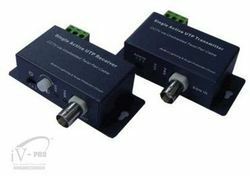 Our organization is counted among the distinguished wholesaler, trader, distributor & supplier of a supreme quality range of Video Balun. Our products are developed from the modern techniques in fulfillment with the set standards. The offered products are exceptionally recognized amongst the clients for its long utilitarian life and adequacy. We are giving these products on numerous specifications within a confine time. Channel 4 Channel Active Transmitter & Receiver. 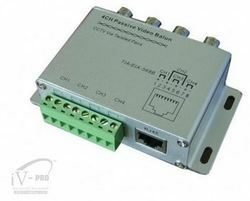 We Are The Leading Manufacturer And Suppliers of Video Balun in South India Such As Thiruvallur, Chennai, Kancheepuram, Vellore, Thiruvannamalai, Krishnagiri, Dharamapuri, Villipuram, Cuddalore, Salem, Erode, Namakal, Perambalur, Nilgiris, Coimbatore, Tiruppur, Karur, Tiruchchirapalli, Ariyalur, Nagapattinam, Thanjavur, Thiruvarur, Nagapattinam, Pudukkotai, Dindigul, Theni, Madurai, Sivagangai, Ramanathapuram, Virudunagar, Tirunelveli, Thoothukudi, Kanniyakumari, Hosur, Rajapalayam, Puduchcheri, Kerala . With the help of our vendors' skilled professionals, we have been able to offer Recording Mike. 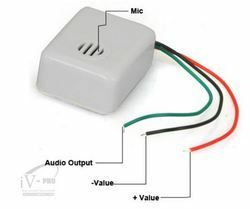 Our provided recording mike is developed by professionals in the highly advanced infrastructure unit using finest grade material and modern technology in accordance with the set norms of industry. Offered recording mike is accessible in varied specifications as per the need of clientele. We test the recording mike on several parameters so as to deliver defect free range. We Are The Leading Manufacturer And Suppliers of Video Balun Supply South India Such As Thiruvallur, Chennai, Kancheepuram, Vellore, Thiruvannamalai, Krishnagiri, Dharamapuri, Villipuram, Cuddalore, Salem, Erode, Namakal, Perambalur, Nilgiris, Coimbatore, Tiruppur, Karur, Tiruchchirapalli, Ariyalur, Nagapattinam, Thanjavur, Thiruvarur, Nagapattinam, Pudukkotai, Dindigul, Theni, Madurai, Sivagangai, Ramanathapuram, Virudunagar, Tirunelveli, Thoothukudi, Kanniyakumari, Hosur, Rajapalayam, Puduchcheri, Kerala . 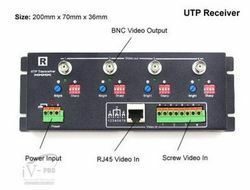 Looking for IV - PRO CCTV DVR VIDEO RECORDERS & ACCESSORIES ?